Maltodextrin, Water, Glucose, Fruit Juice 15% (Apple, Raspberry, Strawberry, Blackcurrant, Cranberry), Sea Salt, Preservatives: Sodium Benzoate, Potassium Sorbate. Not suitable for children under the age of 15 years or when pregnant. 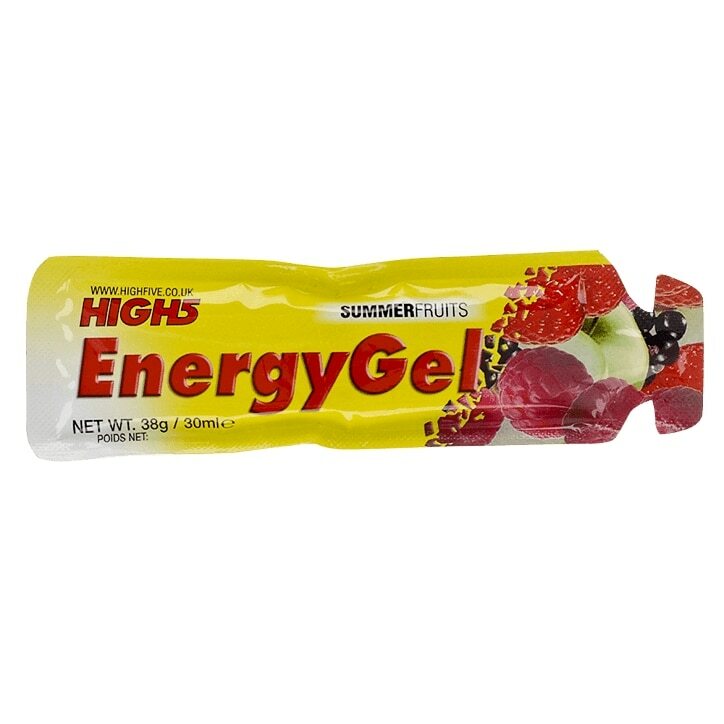 High5 Energy Gel Summer Fruits is rated 4.8 out of 5 by 6. Rated 5 out of 5 by Snowy 87 from Great product and speedy delivery I got this product as I was running the London Marathon this year. I took one Sachet every 3 miles and I am sure that it helped me complete the run. Rated 5 out of 5 by caz v from Getting a Boost My son is an a figure skater and was finding sometimes that he was tired at the end of his programme. His auntie suggested I try the energy gels and I have to say they work! Rated 5 out of 5 by Camthreeseven from Good no nonsense service. Great product used this specific product for a number of years and find them easy to swallow and not overly sweet like other gels . Rated 5 out of 5 by pzero64 from Pleasant Tasting Gel Gel is easy to carry, open and consume. Good taste and consistency. Usual high standard of service from H&B.